General Benjamin Franklin Butler, born on November 5, 1818 in New Hampshire, serves as one of the most controversial generals in the Civil War due to the impression he left on both the North and South. He had been a “loyal Democrat” in support of Jefferson Davis, but after meeting with Davis, Butler felt aligned with the Union army. Butler began his military career as a part of the local town militia in Lowell, Massachusetts, and later served as Brigadier General in the militia—a position he essentially created by using contacts in the government and bank system—in an effort to have a more active role in the Union army and to defend Washington D.C. In April 1862, a fleet led by Captain David Farragut was accompanied by a smaller fleet led by Butler, and captured New Orleans by way of the Mississippi river with little resistance by the people. It is only upon his arrival in New Orleans in 1862, that the true character and attitude of General Butler was revealed. At the time of Louisiana’s secession from the Union in January 1861, New Orleans had been incredibly valuable to the South. As the primary financial capital of the South and almost four times the population of any other major Southern city, New Orleans served as a strategic location for the Union to capture. Although New Orleans should have had the proper infrastructure and artillery to protect itself from attacks, the Confederacy chose to send additional men and resources to the upper South. General Butler, who is not remembered for his military prowess, was thought to be a suitable choice to govern New Orleans because of Lincoln’s knowledge of Butler’s prior support of the Southern President Jefferson Davis. Therefore, Lincoln knew that the city’s residents would not meet Butler with much hostility. However, from the moment General Butler began governing the city, he caused chaos among the people, specifically among well-to-do white women. These women, whose husbands left them in New Orleans to fight elsewhere on behalf of the Confederacy, were targeted because of their husbands. One of the first orders General Butler created was termed General Order 28. 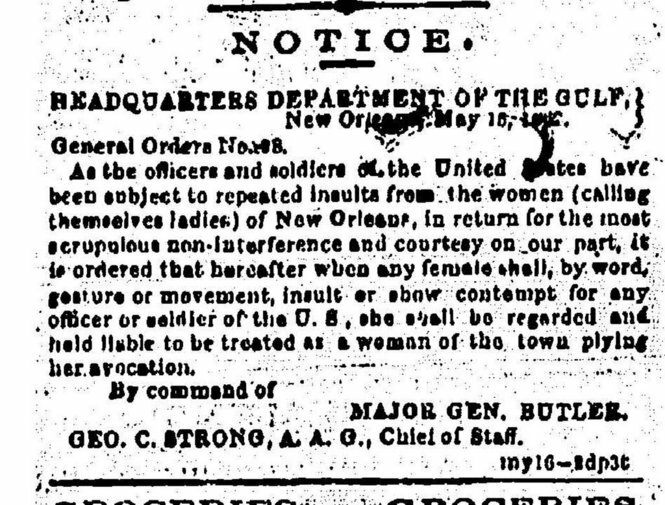 As a result of being angered with women who were “spitting and dumping chamber pots” on Union soldiers, Butler utilized his power to release a statement allowing all men, who were subjugated to this kind of activity, the opportunity to retaliate against these women. The exact words of the edict given on May 15, 1862 were: “When any female shall, by word, gesture, or movement, insult or show contempt for any officer or soldier of the United States, she shall be . . . held liable to be treated as a woman of the town plying her trade.” This order received backlash from the entirety of the New Orleans community as well as the remainder of the South, and even some places abroad. 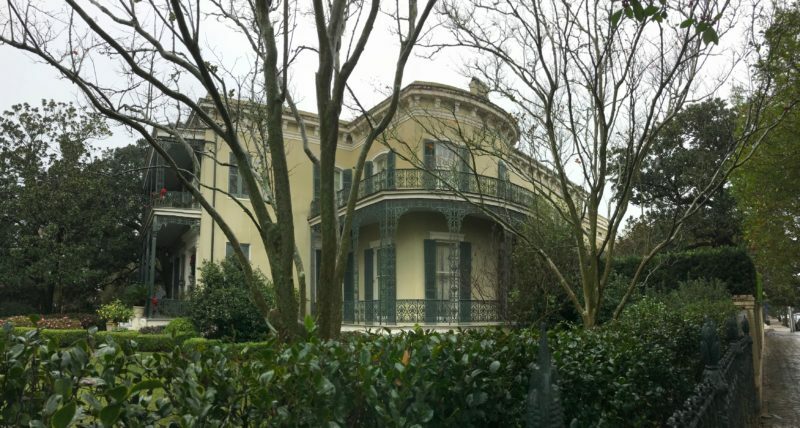 It was General Butler’s haughty demeanor that practically allowed the women of New Orleans to be sexually and emotionally abused by those who were in control of the city. To make matters worse, these women were cut off financially because of the war and the lack of value confederate currency had, leaving them vulnerable to General Butlers demands. This order gave Butler the title of the “Beast.” General Butler was not done causing problems for the citizens of New Orleans. Whoever disrespected the Union in any capacity, whether donning a confederate flag or pretending to have the bones of a Union soldier, was often sent to prison or subjected to harsh treatment from the government. Additionally, Butler had a few experiences with bribery and stealing. These encounters, which only became apparent by assessing the pay grade of the officers and noticing that Butler’s brother received a significantly higher salary that initially allotted for him, made the hatred for Butler within the city spread to all its inhabitants, beyond white women. 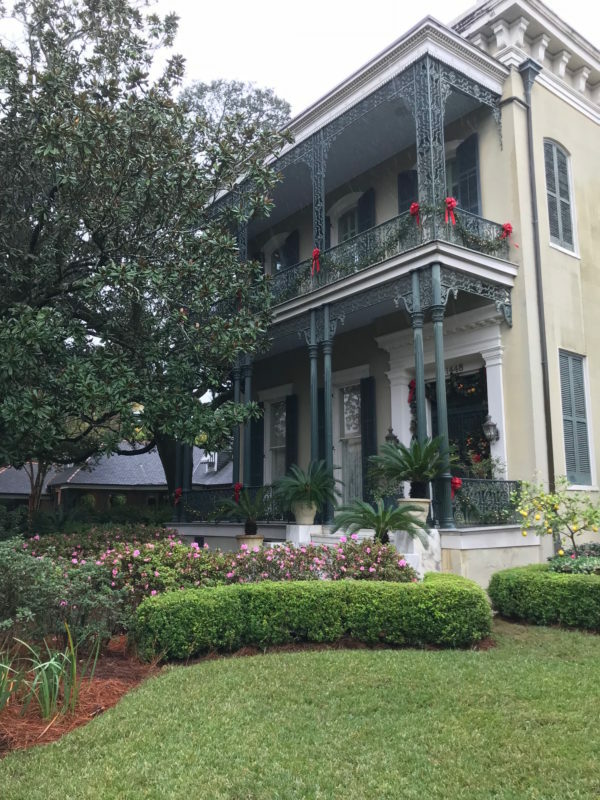 One way that the women of New Orleans responded to the order was by sending letters to their husbands telling them to continue the fight against the North in an effort to avenge for their mistreatment. Another reaction to the order came forth from the international audience. The response given by Lord Palmerston of England read as follows: “no man could read the order without a feeling of the deepest indignation.” The acknowledgement from the international community highlighted the severity of the situation especially because foreign nations did not express interest in getting involved with the war. For the North, Butler was perceived as a military hero who had helped protect Washington, and had captured the great city of New Orleans. Had Northerners known that their hero was vindictive on the city’s people and only treated those loyal to the Union with respect they might have judged otherwise. Butler mistreated the people of New Orleans with his harsh governance because of his strong commitment to the Union and its war efforts. One act, which proved that he possessed some positive qualities, was his creation to the first black contingent of soldiers for the Union army. Additionally, Butler let supplies from Mississippi be brought to the civilians, despite the fact that these attributes did not boost his imagery for the people of the city. General Butler was eventually asked to leave New Orleans because of his actions within the city and how he handled foreign diplomatic relations. Nathaniel P. Banks, who was also not a great strategist, replaced General Butler in December 1862, only a few months after his initial arrival. Banks, who was a Republican, chose to not be as harsh against those who sympathized with the confederate cause as Butler had been, and rescinded lots of the severe orders Butler had put in place during his control. When thinking about Butler’s order and the way he encouraged his soldiers to act against women, it is hard not to see a connection with today’s social climate. The promotion of treating women in a negative manner was not acceptable then, and is not acceptable now. 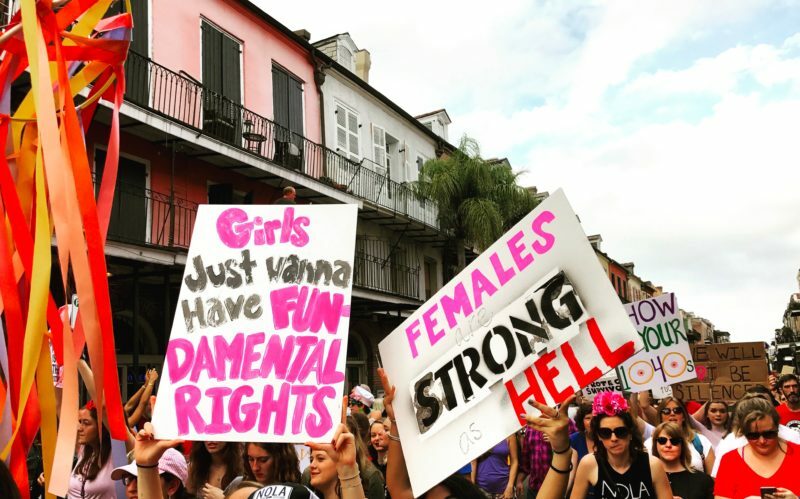 Nearly 155 years after the order was given, women are still marching in New Orleans for rights to their bodies and social equality. The women of New Orleans “remained more defiant than resigned” during Butler’s time in charge of the city, just as the modern-day marchers through the French Quarter would not let their voices be silenced.General Butler serves as a quintessential example of how image varied drastically between geographical locations during the Civil War. The controversy surrounding his image almost parallels the modern day political spectrum and the intense emotions of voters and highlights how simple it is to divide a nation. Butler, Benjamin Franklin. Life and Public Services of Major-General Butler, the Hero of New Orleans. Nystrom, Justin A. “New Orleans after the Civil War: Race, Politics, and a New Birth of Freedom.” Project MUSE, The Johns Hopkins University Press, muse.jhu.edu/chapter/244245. Pena, Christopher G. General Butler, Beast or Patriot: New Orleans Occupation, May-December 1862. 1st Books, 2003. You may want to verify the captions that General Butler resided at 1443 Fourth St. I read this piece with interest as General Butler & his New Orleans period are a special topic of mine. Shock is my first reaction — this essay could have been written for a United Daughters of the Confederacy meeting in the last century. The interpretation of Butler as a conniving Yankee opportunist who imperiled the purity of Southern Ladyhood is a chapter in the Lost Cause textbook of the Civil War. More reliable scholarship emphasizes Butler’s sturdy record as an abolitionist and his efforts on behalf of slaves during his military career (in New Orleans & elsewhere). Perhaps most importantly for New Orleans, Butler’s determined efforts to clean up what was known as “the deadliest city in America” (high death rate, regular yellow fever outbreaks) were remarkable. There was no yellow fever epidemic during the military occupation of New Orleans because of Butler’s rigorous enforcement of sanitation laws. I suggest, too, taking another look at the putative persecution of Southern women. This “outrage” was on behalf of white, middle- and upper-class women, who were forced to sit by Union soldiers in streetcars and other horrors. The plight of women of color, both slave and free, and poor white women with no resources was not included in the largely fatuous outpouring of indignation. Butler was a complicated man with many faults but the New Orleans mania against him was (and is) misplaced. To compare the privileged white Southern women devoted to the Confederacy (which include my ancestors) to the women marching today for full equality and an end to sexism is both absurd and insulting.